Susann McDonald is acknowledged as one of the world's leading harpists and teachers. She was student of Henriette Renie and Lily Laskine and was the first American to receive the Premiere Prix in harp from the Paris Conservatory. Susann McDonald holds the title of Distinguished Professor of Music at Indiana University, where she chairs the largest harp department in the world. She also chaired the harp department at The Juilliard School for ten years. Her students continue to be among the leading teachers and orchestral harpists in the world as well as winners of national and international competitions. Susann McDonald is Artistic Director of the World Harp Congress and Founder and Artistic Director of the USA International Harp Competition. 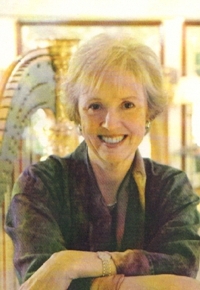 Linda Wood Rollo is a well-known teacher, composer and arranger of harp music. She holds a Bachelor of Music degree from the University of Redlands and a Master of Music degree from the University of Southern California. She has taught on the harp faculties of Indiana University, The Ursuline School of Music and Drama, San Francisco State University, Dominican College and San Domenico School for Girls. She toured under the auspices of Columbia Artists both with orchestra and as a soloist for many years and served as "Artist in Residence" at the University of Surrey, England. 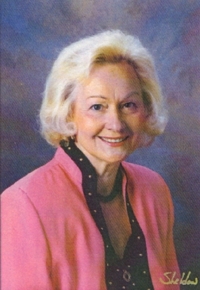 Her honors and awards include the World Harp Congress Award of Recognition, the Distinguished Alumni Award (University of Redlands) and The Adolf Kodolfsky Performance Grant (USC).